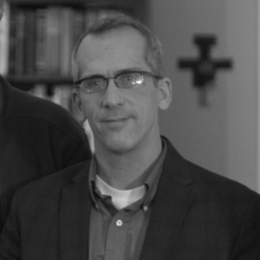 Thomas D. Becker is the Founder and Director of The Row House, Inc, a community within a community in the city of Lancaster, Pennsylvania that "engages current culture with ancient faith." He studied for his Master of Divinity at Covenant Theological Seminary and The Francis A. Schaeffer Institute. Tom reaches urbanauts and young professionals through live forums, concerts, and social media. He is married with five children, two still at home. He prefers two-wheeled transportation, plays basketball, and is the local go-to guy on human oddities, rear-engined automobiles, and Mom 'n Pop businesses.